Lynn Ghahary :: Pieces of Me ...: I can finally let the cat outta the bag! I can finally let the cat outta the bag! Awhile back I alluded to a new opportunity that I was presented with way back in August and lemme tell you it was hard keeping this little tid bit under wraps for so long! I am so very excited to share that I have been asked to join the Cricut Circle Blog Design Team! The Cricut Circle is Provo Craft’s affinity program. The Circle is a place to Inspire, Educate and Create. This program enables crafters to see Provo Craft products first, be involved in specialized focus groups and surveys, receive special pre-launch specials on select Provo Craft products, a private blog and message board for Circletes to foster a special crafting community. Additionally, Cricut Circle members will enjoy 4 exclusive cartridges—one each quarter, instructional webinars and double reward points for purchases on Cricut.com. The Cricut Circle Blog will be THE place for Circle members to gain daily inspiration, participate in challenges, oh and let's not forget the giveaways! LOL While the Cricut Circle Blog is exclusive to Cricut Circle members the good folks at Provo Craft have decided to open it up to EVERYONE for our launch week because we want you to be able to see what all the hoopla is about! You'll have to stop back here tomorrow to see the full monty! I know I'm such a tease! LOL How about a giveaway to make up for it? Do you know what a Gypsy is? All you have to do to be entered into a random drawing to win a Gypsy is follow my blog (over on the lower left sidebar) and leave a comment on this post. I'll leave this giveaway open until midnight (EST) on Friday, October 8th and announce my winner on Saturday, October 9th! I have not one but TWO Gypsys to give away. Pretty cool, huh? wow thanks! Good luck on everything! Woah!!!! What a super post! Congratulations Lynn!!!!!!! I do have an expression but not a gypsy! I'll check out the blog for the free week, the membership price is out of my price range (rats) - but maybe I can 'work it' if I am convinced it pays for itself! Congrats on the DT, and thank you so much for the chance to win a gypsy, I've been dying for one forever but now that I have my Imagine I NEED one!...or will when they update it next. He! I would follow your blog if I could find the button. congrats lynn, they picked the perfect gal! I really want a gyypsy. I've been looking for one on sale all week. Even bid on one on ebay, but lost. Congratulations on the DT, and thank you for the opportunity tow in! Love the project!!! I am so excited to do this blog hop...from one Cricut Circle Design Team members to the next!! I now understand why you all were chosen to be a part of the Cricut Circle Blog! BIG congrats...off to check out Cricut Circle! congrats for getting to join the team and I cant wait to see what you guys all make!!! Congratulations on the DT. The blog looks awesome so far. I can't wait to see the rest of your project. Congratulations! I too love my Cricut. I just visited the blog, and the membership looks awesome. I think I may consider joining. Best of luck ... can't wait to see your work. congrats ! just joined you !thanks for the chance to win. Congrats!! I can't wait to see the rest of your page! I am always interested to see sports pages. And the blog looks wonderful! I alread follow your blog. Thanks for the chance to win! Wow! Great blog... glad I found it through the circle!! Very cool give-a-way, and great new blog! Congrats on the design team, as a Circle member (with no Gypsy!) I can't wait to see more of your work! Congratulations!!! Looking forward to seeing more of your creations! Congrats on making DT member for the Circle blog! Would love the win a Gypsy as I am Gypsy-less. Congrats on making the team. Love your work! Congrats, Lynn! I'm already a follower, and would love to win! Hi! Just signed up as a follower; love your blog. Would love to win a Gypsy, too! CONGRATS LYNN!! That's so exciting!! I love my Cricut....need to check out the blog! Can't wait to see the rest of your project--looks CUTE!! Congratulations !! That is wonderful. Congratulation!!! Thank you for a chance to win a gypsy. I think its great we get to check this out. Congratulations, can't wait to see your projects! Yay! That's fantastic! Congrats, Lynn! Put me on the list as one who has recently began coveting a Gypsy :-) The more I hear about them, the more I know I'm destined to get one! Congrats! Love the blog! Thanks for the opportunity to win! Congratulations! The new blog is amazing and the talent is awesome! Can't wait to see more! Happy Crafting! Huge congrats to you and all girls for the FAB opportunity. YOu are all talented and amazing designers. Congrats on the DT. Love the sneak peak cant wait to see the rest of your project!!! Thanks for the chance!!! Congrats to you :) Thanks for the great chance to win as well! I do not have a gypsy so maybe this will be my lucky day!?! Congratulations!! Thanks for the contest. congrats, you gooo lynn! you are a total super star!! and that gypsy looks really cool! Congrats on being a designer I am really excited about the blog! Congrats to you! So excited about the new blog! Congrats to you for being on the design team, I look froward to your creative projects in the future. I look forward to seeing more of your amazing work on the Circle Blog! Thanks for teh chance to win. Great Layout, Love the lettering! I want a Gypsy, this is actually on my Christmas list for this year, so I hope Santa comes early this year. LOL!! Congrats on the being on the design team! Thank you for the chance to win a Gypsy! VERY cool and congratulations!! Thanks for the chance to win! How exciting for you! Congrats!! Just signed up to be a follower! Thanks!! Congratulations on you position on the design team - how exciting and awesome! Thanks for the chance to win a Gypsy! Congratulations on being on the Design Team. Thanks for the opportunity to win the Gypsy. WOW - how did you keep quiet for such a long time? You must have been bursting to tell. Congratulations on being part of the Design Team for the Circle! I just joined, and am already so happy! I don't have a Gypsy, but would love one. I use DS, but the Gypsy would allow me to do so much more. Thanks so much for a chance to win one! Thanks I would love to win a Gypsy. I love the sneak peek, I am working on a Football LO for my son. Congratulations on being a DT member!!! I am loving the blog. Looking forward to seeing more of your wonderful creations!!!! Thanks for the chance to win a gypsy. How exciting!!!! congrats on being a design team member! your project is so cute! I never would have thought I needed sports mania! Thanks! It must be so much fun to be on the design team! Good Luck! Wow ... I can totally see why you were picked to be a part of CC blogs. Congrats!! Oh happy day! Congratulations! Thanks for the opportunity.... I can hardly wait so see who wins. Congrats on the DT position! I love the project you have on the blog :) I just became a follower of your blog and I hope you will come follow mine also! I'm SO happy for you my friend!!!! You do rock a Cricut!!! Congratulations Lynn on becoming a Cricut Circle Designer. I am enjoying taking a PEEK at the Cricut Circle Blog and am considering becoming a Cricut Circle Member. I really like your website and what it has to offer. Thank you for you willingness to share your talents with us. Congrats! Love your first projects on the blog! Just can't wait to see what else is in store! Thanks for the awesome giveaways!! Congrats!!!! Can't wait to see what you have for us!!!! I'd love to be a follower!! Thanks and Congrats on the design team. That's a very creative set of stuff! It's refreshing to see GUY stuff...it's sadly lacking in the scrappy scene. I have 4 grown boys and 6 grandboys and this is an excellent set...I am going to recreate the COACH frame if I can...I have one of the carts you used. I'm glad you are on our Circle blog DT! Congrats to you for being chosen for the Design Team. Thanks for the chance to win, I look forward to following your blog for inspiration. How exciting for you. Congratulations on joining the Cricut Circle design team! And wow what a great giveaway opportunity for us. I'd love to win a gypsy to use with my Cricut. The gypsy is one cool craft toy! Thanks. Gypsy? Really? this is an awesome giveaway. I would love to win one. I love your layout. I'm looking for the college font cart at my walmart. I can see I need it. Congratulations on the design team! I'm so excited to find your blog. You do fabulous work! That is sooooo cool girl - huge congrats!!! I don't know how you kept that a secret. I would've exploded. LOL! How fun! Love the blog and the project! I love your football projects and look forward to everything the Circle blog has in store for us! Looking Forward to the the blog. Congrats! Woo Hoo another blog to follow, that means more inspiration! Congrats on the Design Team, it sure must have been really hard to keep THAT secret, I would have been bursting at the seams, lol! Thanks for the giveaway! Congrats! Looking forward to seeing more of your work. I'm so glad the Circle is getting better. This is going to be great! Congratulations...what a great opportunity. I'm putting my name in the hat for the awesome give away. Love the layering on your page. just became a follower. Thanks for the opportunity to win. Fantastic Giveaway! Thanks for the chance to win! Glad you were chosen for the DT - you are very talented! I would LOVE to win a gypsy! My friends have their own and I'm so jealous! Huge thanks to PC for all the gypsys they are giving away!! I am so excited about the new Cricut Circle Blog. Congrats on being a designer. How exciting for you. Congrats on the design team. Thanks for sharing your great designs. Can't wait to see what you come up with next. Oh my gosh, Lynn!! Congratulations!!! I have an Expression that I bought in April! It would be fun to have a Gypsy to go with it!!! Thanks for the chance to win!! Congrats! I'm a new follower and excited as I'm fairly new to the Expression and am craving all things Cricut! How exciting that the Blog will be open for a week so that we can view all the cool stuff! Great blog and I'm looking forward to visiting every day! :) And 2 gypsy's to give away! How cool is that!!!! Congrats on joining the DT. Crossed fingers for a G! Congrats on becoming a designer. Can't wait to see all your creative work. Thank you for sharing. Congrats on being part of the design team! I can't wait to see more designs. I would love to win a gypsy and I am a follower! Congrats on the blog! This is going to be great! So exciting! Thats so exciting, congrats to you, well deserved! Big fan of your work, i wish to be this good one day. Thanks for the chance to win a Gypsy, I have wanted one for so long. Congrats Lynn. And thanks so much for the chance to win a Gypsy. I love your projects and am so excited about the Circle blog....thanks for the chance to win. Congratulations! Thanks for the chance to win a Gypsy!! Congrats on the DT. Looking forward to following the blog. Congrats on being a Circle blog design tem member. What an awesome opportunity. Thank for the masculine items. These are so hard to find sometimes. Can't wait to see more creations. Congrats on the DT -- looks like an awesome team. That's a very generous giveaway! looking forward to seeing what you create for the blog. Thanks so much for the chance to win! Cool blog! I am looking forward to what you ladies have in store for us!! Congratulations!!! Congrats!!! Love your projects on your blog. Thank you so much and congratulations to you for this wonderful opportunity. I can't wait for the inspiration that I know this Cricut blog will generate. Congrats on being a part of an amazing design team! Congrats on DT. How exciting. Congrats for being on the design team for the new Cricut Circle blog! Looking forward to learning and being inspired to use my wonderful Cricut. Congratulations! This is going to be so much fun! Circlets unite! wahoo! congrats and sounds so exciting!!! I am happy to follow your blog! Thanks for the Gypsy giveaway! Congratulations on being a part of the design team. Love your simple style and look forward to seeing all of your future projects! Wow, would love to win a gypsy!!! Thanks for a chance to win and I'm a follower of your blog now. Thanks for the great giveaways!! Good luck with all your new projects! Congrats. Love your LO. I'm a new follower.I think we all love new followers. Congrats! Love your blog! Looking forward to more post! Enjoy! Congrats on the Circle Design team! I sooooo want a Gypsy! What an awesome prize! Thanks for the chance to win! I can see by the items on your blog you'll be fantastic. Love your project for the Cricut Circle Blog. WOW! I'm going to scraplift your sports projects. I have 2 sons in sports and love these projects. Congrats on the CC DT position. Thanks! Hope I win a Gypsy. Wow, congratulations on making the Circle DT, how exciting!!! I am a follower now!! Great masculene gifts! Love what you did with the colors and design. Congratulations on becoming a design team member. Hi Lynn :) Congrats on becoming part of the Cricut Circle Design Blog Team!! I love the projects you have posted so far and can't wait to see more! I am loving the Cricut Circle Blog! Great job Ladies! Wow Congratulations! I love your cricut projects. I would love to win a Gypsy. I've been wanting one for a while but it's just not in the budget. Congratulations and very cute football items! Congrats!! Sounds great. I do want a Gypsy. I'm going to talk to Santa :). Huge congrats to you!! Your work is amazing and I'm sure you'll make some amazing things using the Cricut too. Thanks so much for the chance to win. Winning a Gypsy...how cool would that be?! I love that football set, especially the frame. I'm going to have to give that a try. Congrats again on doing what you love to do~design. Lynn loved the sports themed projects! Hope I win the Gypsy. Thanks! 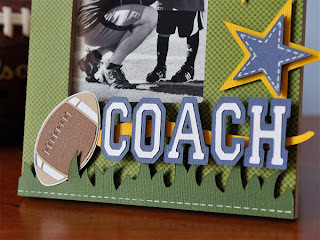 I love the sports theme..I am a mother of 4 athletic boys....and have a huge backlog of sports pics to scrapbook! I love your project. Thanks for sharing. Congratulations on the Circle Blog! Love the ideas and inspiration. Love the Coach gift! Great giveaways...love your blog. Congrats on being selected to the Cricut Circle Design Team. Thanks for sharing your designs with us! What a great blog. I love your projects. Thank you for sharing them. Congrats on being chosen as one of the Design Team members! Awesome giveaway, too! Congratulations!! I can't wait to see your awesome creations!! Great projects. TFS. Am now a follower. A big HOORAY to you!! Thanks for a chance to win. Ooh, I would love to win a gypsy! I am loving the circle blog and know that I will continue to be inspired by all of the talent on the design team! So glad to see you on the Circle blog. I really like how you gave all the directions and sizes, etc for your Coach gift set. What an amazing gift that any coach would be proud to get. Love your blog. I am sure I will be inspired by your blog and learn alot!! Thanks so much for the giveaway! So sweet! Yep I followed you too!! Congrats!!! (But it doesn't surprise me!) With your talent, there is no end to where you will go! Thanks for the chance to win. Wow Lynn, Congratulations. I cvan't wait to see more of your cricut work. Love the new blog! Congratulations to you and the rest of the design team. Seeing all your work is very exciting. Looking forward to more inspiring work from you guys. Thanks for the chance to win the Gypsy! oh my god, my 10 yr old granddaughter who lives with me would love this gypsy for christmas. if i win it is going to her. i raise 3 grandkids and it is hard to buy for them at christmas. thank you for the chance and pc. congrats on your design team. this rocks. I hope to be able to join in the future. wow congrats. i am a follower. check out my blog sometime too. congrats on the design team. i would love, love, love to win. thank you and pc for the chance. woohoo. Awesome! Luv 2 get a gypsy so I can play while my 2yr old is sleepign, LOL. I can see why you were chosen to be a part of the DT. Congrats! Love your blog! I sure do know what a Gypsy is. I was in a Joann's Store one day last month and there was a Cricut Consultant there demoing the Cricut Cake and she was so nice to show me the Cricut Gypsy. Wow, I said I really, really, really want one of those. Congratulations on being part of the Design Team. Thanks for the chance to win such an amazing prize. The gypsy would really help with making cards. Congrats on the Circle DT! I am now a follower of your wonderful blog! Congrats for being selected....great blog!!! Would LOVE a Gypsy! Congratulations! 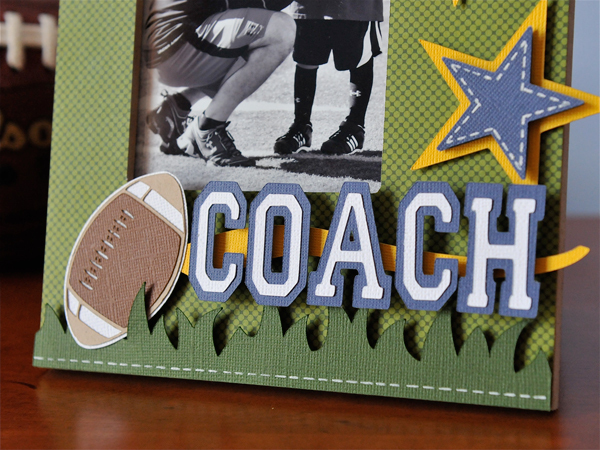 Your coach frame is awesome!